You won’t be able to stop eating this Cookies and Mascarpone Ice Cream! 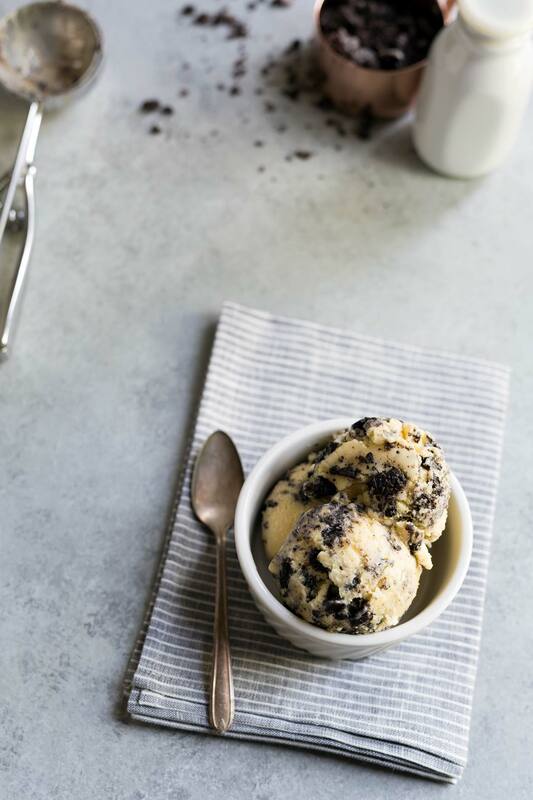 It’s an updated twist on the classic cookies and cream ice cream recipe, but even better. This post is a paid collaboration with Wisconsin Cheese. Jeff and I aren’t taking any big vacations this year. Between some renovation efforts on our townhouse and work insanity, the money and time just aren’t there. That’s ok, though! We have a few smaller trips planned, and I got to visit Wisconsin a few weeks ago. 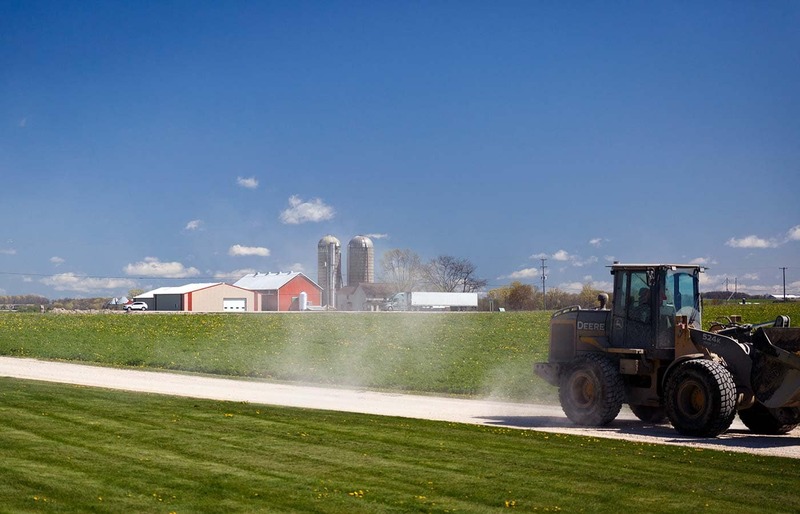 Wisconsin Cheese invited me on a tour to see some cheese factories in action, as well as one of their dairy farms. It was a lovely trip. Madison is a great college town with a unique vibe and fun dining scene. I discovered a new love of squeaky cheese curds (or gooey fried cheese curds, I love you). 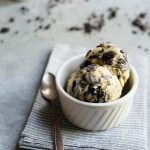 It also inspired this Cookies and Mascarpone Ice Cream recipe, which you’ll find at the bottom of this post. I’ve visited many food processing factories over the years. 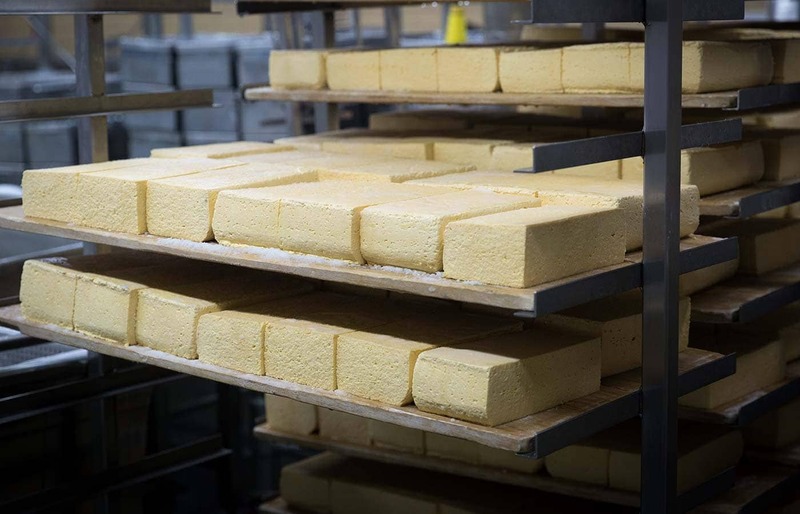 Never have I been as giddy as I was while surrounded by tons of the freshest possible cheese at various stages of production. I met master cheesemakers! Do you like stinky cheese? I watched LIMBURGER getting its stank washed on at Chalet Cheese Co-Op. That room was seriously funky. 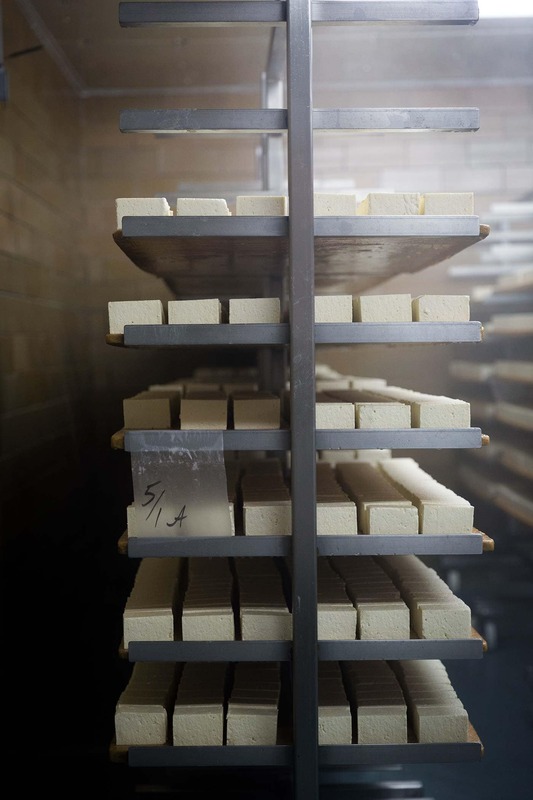 Chalet is the only remaining producer of limburger cheese in the US. We sampled award winning cheeses from Roelli Cheese Haus and aged brick spreads from Widmer’s Cheese Cellars. I bonded with a newborn calf at Sunset Farms. Seriously, we had a moment. I think I was the only one who didn’t get a good photo of her because I just wanted to cuddle. 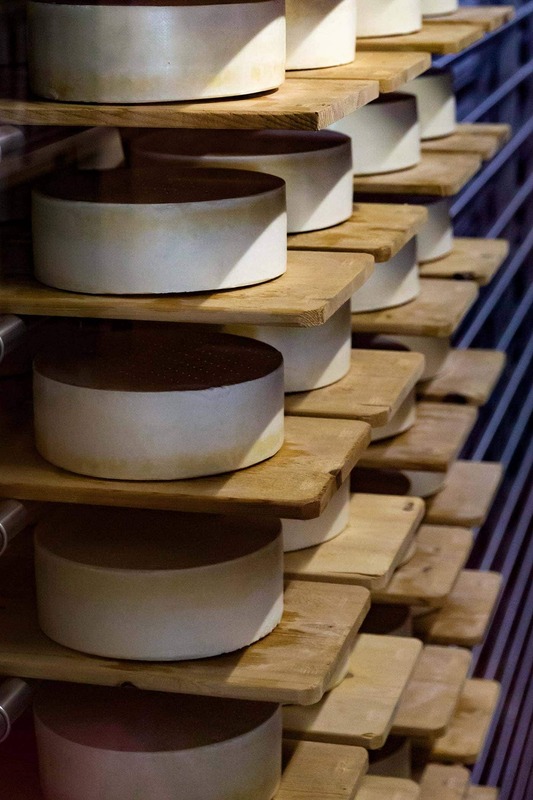 Another highlight from the trip was visiting Emmi Roth Cheese. Their Grand Cru Reserve is a favorite of mine, so being that close to the source was a real treat. They prepared us an incredible fondue meal. These trips always seem to go by in a flash. I left feeling like I barely got to scratch the surface of everything Wisconsin has to offer, and I hope to get back there again someday. I’ve been on a real ice cream kick recently, and since I’m going on about cheese, I thought this was a great opportunity to prepare another version highlighting mascarpone. It’s creamy, dense texture and neutral, rich flavor creates a perfect base. 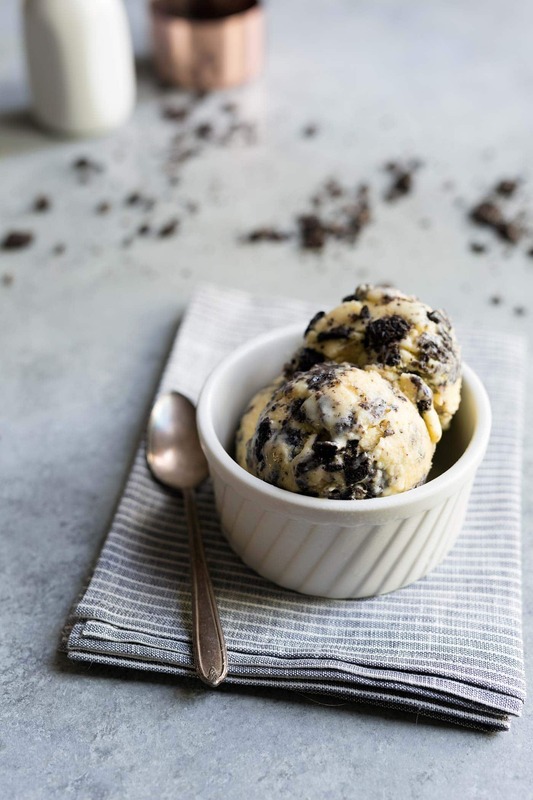 Cookies and cream is one of my favorite classic ice creams, and this is my take on it. You won’t be able to stop eating it! You won’t be able to stop eating this Cookies and Mascarpone Ice Cream! It’s an updated twist on a classic dessert. In a large bowl, whisk the egg yolks and sugar until frothy. In a medium sauce pot, stir the milk, mascarpone and vanilla over medium heat. As the ingredients heat up, use a whisk to help incorporate the mascarpone cheese into other ingredients until smooth. Once the liquid is just starting to simmer, turn the heat to low. Ladle half of the milk mixture into the yolks while whisking. Pour the remaining mixture into the bowl while whisking, then return the ingredients to the saucepan. Stir constantly with a spatula for several minutes until the ice cream base thickens slightly and coats the back of the spatula. Transfer to a clean container and cover with plastic wrap, pressuring directly against the mixture to prevent a skin from forming. Chill for several hours (or overnight), until very cold. Note: you can speed up this process by placing the saucepan in an ice bath and stirring for about 15 minutes to cool it down before transferring to the clean container. Re-whisk the ice cream base (the cheese may have separated), then prepare in an ice cream maker according to manufacturer instructions. Transfer into a freezer-safe container, layering it with the chopped sandwich cookies. 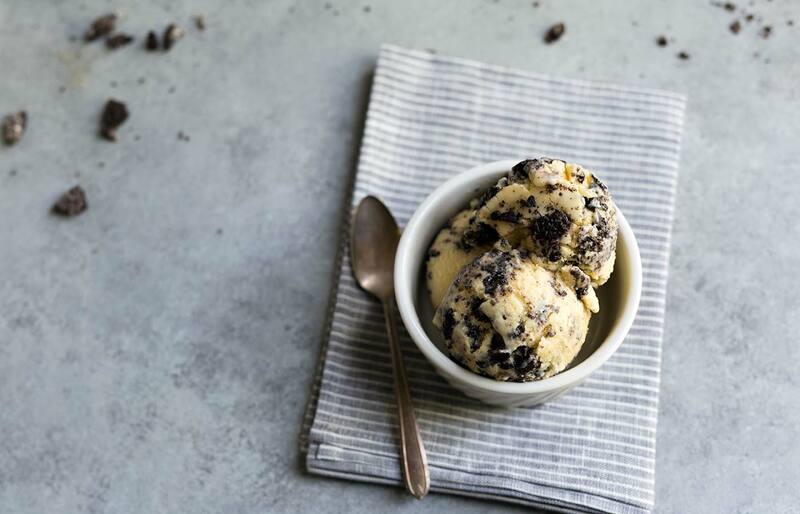 Place in the freezer until the ice cream has firmed up and is ready to serve. 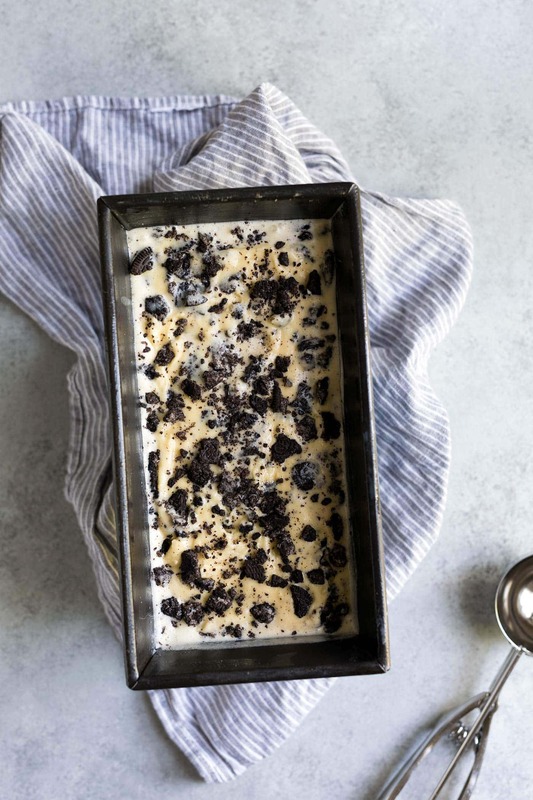 You can use any type of dairy milk with this recipe. Mascarpone cheese will add plenty of fat; heavy cream is not necessary and might actually be too rich. The ultimate summer treat, so cool a little tart and delicious! That ice cream looks and sounds amazing….and I’m so jealous of your trip to cheese heaven!